To explain what open access is, it’s best to start with all that it’s not — all of the rules, ropes, and plot holes in the current scholarly publishing world. At UC Berkeley, researchers publish books and articles in a vast range of disciplines — from particle physics to transportation studies and women’s health. Right now, most, but certainly not all, of the funding for research at the University of California comes from giant federal agencies — the biggest players being the National Institutes of Health, or NIH, and the National Science Foundation, or NSF. When a cell biologist studies genetic disease, for example, the first step is to apply for a grant. After performing the experiment, the researcher submits a paper describing the results to an academic journal. Publishers then enlist a troop of scientists to review the paper and its conclusions. That work is done for free. Meanwhile, publishers charge universities — the creators and arbiters of their content — ever higher fees for access to the articles. For those without a subscription, including the millions of Americans who fund this research through state and federal taxes, the articles are hidden behind a paywall at something like $40 a pop. And publishers usually require authors to hand over their copyright, commandeering control of the reuse and distribution of the data, materials, and text. “Every time a sensible person gets a simple explanation of the current system, the reaction is disbelief — that smart people have been doing this stupid thing for so long, and it’s been so, so expensive,” said Don Moore, a researcher at the Haas School of Business who studies human confidence. Before the digital revolution, when publishers had to mail fat stacks around the world, the system made sense, he noted. But that business model has been outdated for about 20 years. 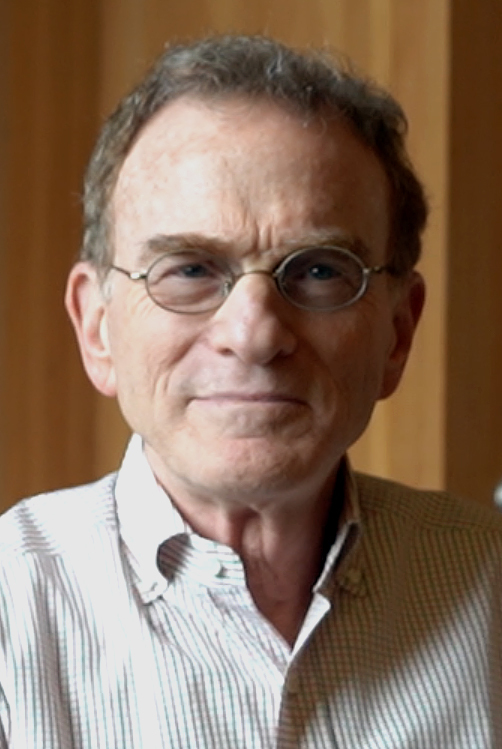 “They are avaricious,” said Randy Schekman, campus biology professor and 2013 Nobel laureate, in a video interview. So now, coalitions of librarians, professors, and administrators around the world are demanding change. The goal is to invert the current model and, rather than pay for unwieldy subscriptions, channel that same money into publishing systems that will make the fruits of scholarship free and accessible for all. Currently, the UC, through the California Digital Library, pays about $40 million for a package of journal licenses on behalf of its 10 campuses, he said. As it turns out, piloting academic scholarship into a brave new world of publishing has been a long, at times turbulent, journey. Institutions and scholarly authors around the world have for more than two decades been wrestling with how to make open access a reality. In 2013, the UC’s Academic Senate, guided by faculty across all 10 campuses, issued an open access policy declaring that all research papers by UC faculty would be made available to the public. Two years later, the UC expanded that policy to include all UC researchers, including lecturers, postdocs, and graduate students. Despite the policy, eScholarship receives only a quarter of eligible scholarship coming out of the UC, according to a 2016 article by The Chronicle for Higher Education. In fact, getting faculty to dive into the open access waters is one of the most important, and complicated, steps in this whole synchronized dance. The traditional publishing model runs pretty deep in the psyche, and breaking it down will take dedicated efforts on all sides. For one thing, for-profit journals such as Cell, Nature, and Science have built up a sort of Ivy League reputation. Open access journals, on the other hand, compete with a sea of online journals of varying quality, causing confusion among many academics. Most open access journals go through peer review and editorial processes like any other journal. Still, academia is slow to change. “There’s so much crap out there, and figuring out what to pay attention to is really hard,” Moore said. As long as that dynamic exists, he said, the prejudice feeds on itself. Old legacy journals will continue to “pull away” the best papers from even the most reputable open access publishers. The large, for-profit journals also have the advantage of perceived impact — basically, how many other scholars use and reference those articles. (Journals are literally given scores according to that popularity.) Citation counts can weigh heavily in career moves such as tenure, promotion, and pay raises, and just the name of a journal can uplift a résumé in many fields. Scholars often opt for that reputation, even if it means publishing behind a paywall, MacKie-Mason said. If systems were to change, though, that choice could become a whole lot easier. 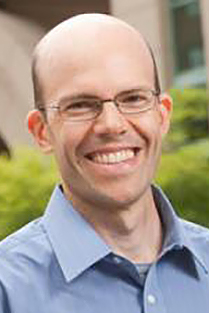 For Eric Baković, chair of the Department of Linguistics at UC San Diego, and others, the next step in the fight will be targeting academic departments to inform faculty about open access options in their field and encouraging faculty to reward open access publishing when it comes to evaluating peers. Outside those cultural changes, there are a host of options to pursue — from boycotting for-profit publishers by refusing to purchase, review, or submit work to those journals, to working with faculty editors of academic societies to help them flip to open access models. Each campus has different economic and sociological needs, MacKie-Mason noted, and people have conflicting opinions about how to meet them. But the Library is working tirelessly with others across the UC to understand those differences, support the gamut of faculty-led solutions, and move forward together. That sounds pretty messy. What is the Library doing to help? For all of those challenges, there is an equally colorful set of solutions spearheaded by the UC’s Council of University Librarians. This past spring, the UC Libraries published its seminal Pathways to Open Access toolkit — a detailed explanation of the various potential strategies and starting points for achieving open access on campuses across the UC and beyond. 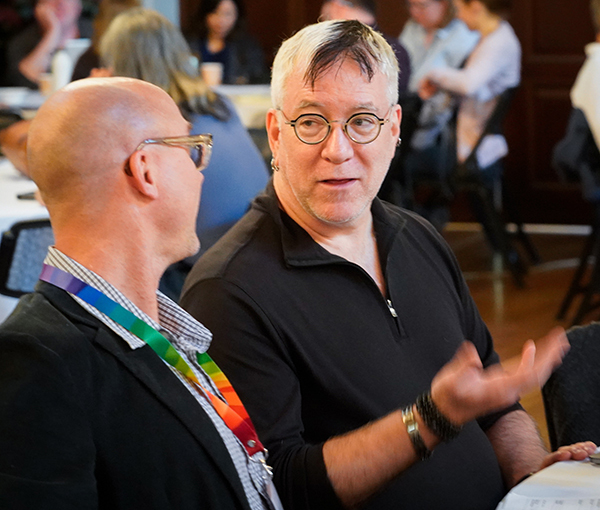 And this month, on behalf of the Council of University Librarians, the UC Berkeley Library hosted a working forum, bringing together 125 experts on open access from more than 80 institutions across North America. At the forum, participants talked about an array of strategies for moving money away from subscriptions and working toward open access together. When it comes to open access funding models, one crucial question is: Who will front publication costs in a world where subscriptions cease to exist? Right now, most open access journals operate by charging publication costs up front — usually around $1,000 to $4,000 per article. Many researchers have begun to request those fees be included in their research grants. And some open access journals, such as PLOS ONE, will cover publication costs for those who cannot afford them. 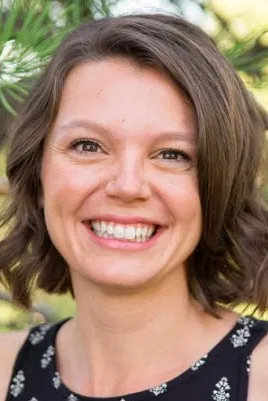 That’s a crucial consideration within any open access model, said Claire Kremen, a conservation biologist at Berkeley who studies bee populations and biodiversity. 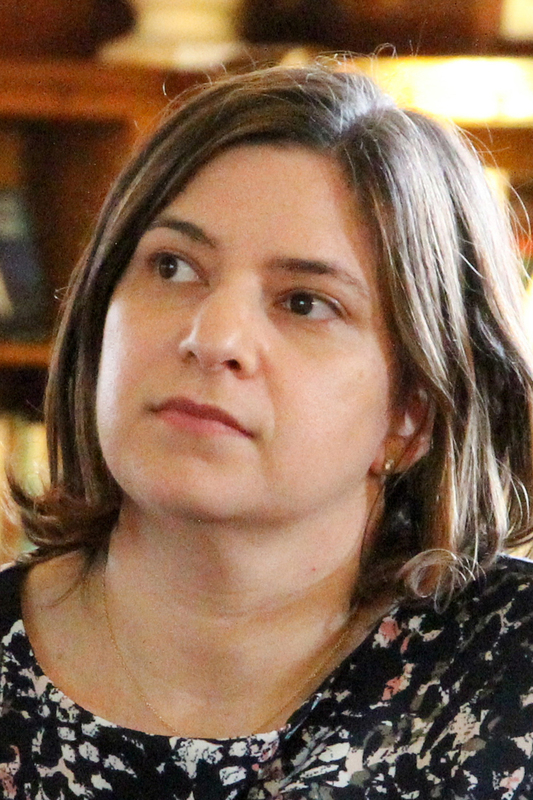 “We need open access to go on both sides — reading the articles, but also being able to publish and not having the cost be a barrier,” she said. One solution on the UC Berkeley campus is the Berkeley Research Impact Initiative, or BRII. Established by the Library, BRII reimburses UC Berkeley authors without sufficient funding who publish their articles in open access journals or produce an open access book. Jessica Watterson Ph.D. ’18, who received BRII funding for her research on the impact of informational text messages on the health of low-income patients at a Los Angeles clinic, said that the funding allowed her to publish her paper in one of the field’s leading publications: the Journal of Medical Internet Research, which is fully open access. 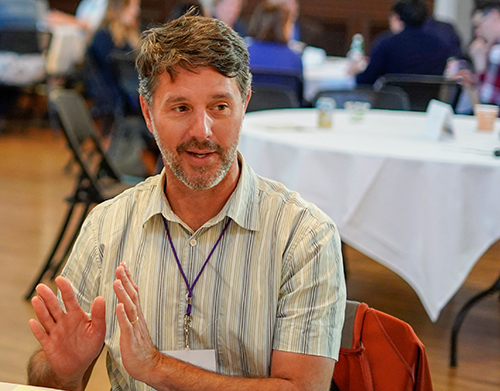 Along with running BRII, the Library’s Office of Scholarly Communication Services provides supports for journal editors looking to transition to open access publishing and campus authors and scholars navigating the scholarly publishing world. The office also works with graduate students and those at the beginning of their research careers, helping them understand the value of publishing open access — from broader exposure of their work to the ability to retain copyright. After all, if the road to social change is long and winding, it’s best to start ’em young. 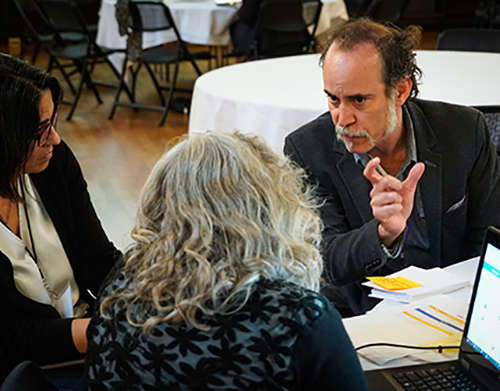 “We can’t cold call 2,700 faculty members,” said Rachael Samberg, UC Berkeley’s scholarly communication officer, “but we can work with graduate students on understanding research impact. But why does the world need open access? Aside from banishing an exploitative business model, making research freely and openly available worldwide will help researchers fulfill one of their most noble endeavors: to advance our understanding of the universe, one revelation at a time. The more widely information is shared, the logic goes, the greater chance it has to inspire exploration, innovation, and new knowledge. And for Don Moore, the Haas researcher, if data can be shared openly — rather than confined under strict copyright licenses — then scientists reading the work can have greater confidence in the conclusions. For Samberg, data is a crucial part of the open access puzzle. When journals keep scholarship and data behind paywalls, researchers must navigate a frenzy of copyright, contract, and license agreements, tying their hands and slowing down their research. Moreover, in today’s scientific landscape — where research teams can span the globe — locking information behind a paywall makes little sense. Not a single library subscribes to all of the world’s journals, MacKie-Mason noted. In fact, many of society’s basic building blocks cannot afford subscriptions to journals — from public high schools and liberal arts colleges to local clinics and city governments. “When I was a kid growing up in my high school — a public high school in a working-class area — they had Science in the library,” said Schekman, the Berkeley Nobel laureate and editor-in-chief of eLife, an open access journal. (He will step down from that position early next year.) “In recent years I’ve had the opportunity to give talks at high schools, to AP students and others, and their libraries can’t afford something as simple as Science or Nature. In 2013, the Obama administration declared that all federally funded research must be made publicly available — but only after one year. Even the NIH, the nation’s largest funder of medical research, lets the research it funds lie behind paywalls. In fact, most for-profit journals slap embargos on research they publish, meaning that faculty can’t post their work in public repositories such as eScholarship until at least 12 months after publication. For Samberg, the scholarly communication officer at Berkeley, it is that very notion that continues to drive and inspire her work. Earlier this year, 11 national funding organizations across Europe — which together back about $8.8 billion worth of research a year — announced that, by 2020, all of the research funded from their pockets must be published in fully open access journals. Grantees of those organizations will be forbidden from publishing in the likes of Nature, Science, and Cell unless those journals change their business model. The funding policy, called Plan S, is far more aggressive than anything in the U.S (and has been met with controversy). But for some, it is an inspiration — a glimmer, a whisper, that things are changing. And joining that chorus are recent moves by Germany and Sweden, who, this summer, cut themselves off from publisher Elsevier after its failure to negotiate. Meanwhile, six UC campuses have signed on to OA2020 — an international effort to build momentum for a global transition, with signatories declaring they will move money away from closed publishing and toward support for open access. Guided by that light, the UC Libraries and the California Digital Library have recently entered a round of negotiations with several publishers, including Elsevier. The UC is taking a stronger stance than in previous years, mandating that all UC scholarship be published open access. “Every time we pay for an article to be open access (in hybrid journals), we should get an offset in the subscription price,” said Eric Baković, the linguistics professor at UC San Diego. The idea of offsetting subscription prices is one of 18 conditions put forth by the University Committee on Library and Scholarly Communication, or UCOLASC, a body that includes faculty from all 10 campuses. In its Declaration of Rights and Principles, the group outlined negotiating points for the UC Libraries, including no transfer of copyright; no delay for sharing work in eScholarship; no free labor (peer review by UC authors should be accounted for in subscription costs); and no limitations on author reuse of data, figures, or text. The UC, in fact, has substantial bargaining power to bring to the table. The UC produces about 10 percent of all peer-reviewed scientific articles in the U.S., noted MacKie-Mason. And there are about 500 UC faculty members currently serving on editorial boards for Elsevier alone.